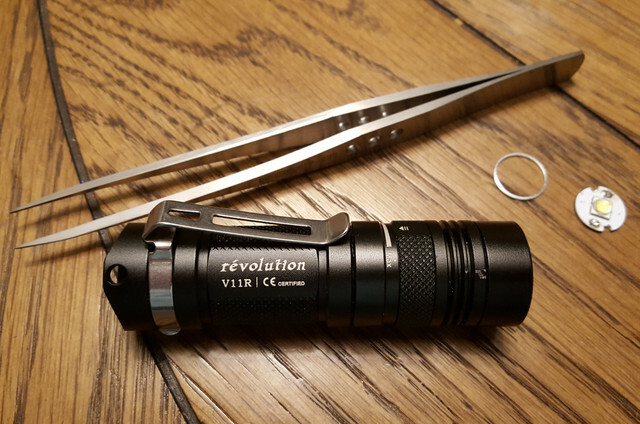 Managed to open my Olight S1 Mini Baton (yeah the new ones with recessed blue ring ) without toooo much pain and swapped the cool XM-L2 for a hi-CRI LH351D 5000K. 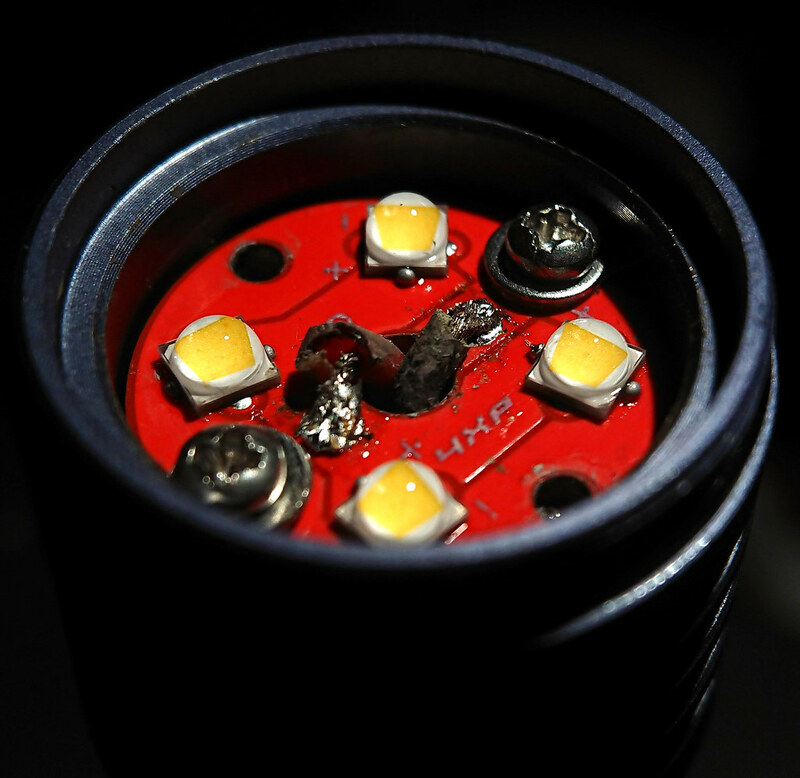 The BLF X5 was before my time but I did get one to make up for lost time. It stayed stock for about 2 days. Tail measured just barely above 5 amps w/ a Vapcell 14500. 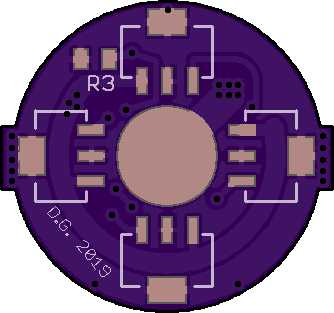 I didnt do any focusing and didn’t bother changing the stock centering ring since the MCPCB and reflector both screw in and the width of the gasket seemed close enough for now. Beam actually has a good tight spot as is. That is a satisfying mod , it takes the X5 to a new level that was not achievable at the time. Today’s mod was one of the more tricky ones for me but turned out well. Thanks toddcshoe for that deal thread and moderator007 for documenting his previous mods on this one.. Broke this free with the underside of my huge gaming mousepad, I think it was red loctite. Now I have a cramp in my finger. 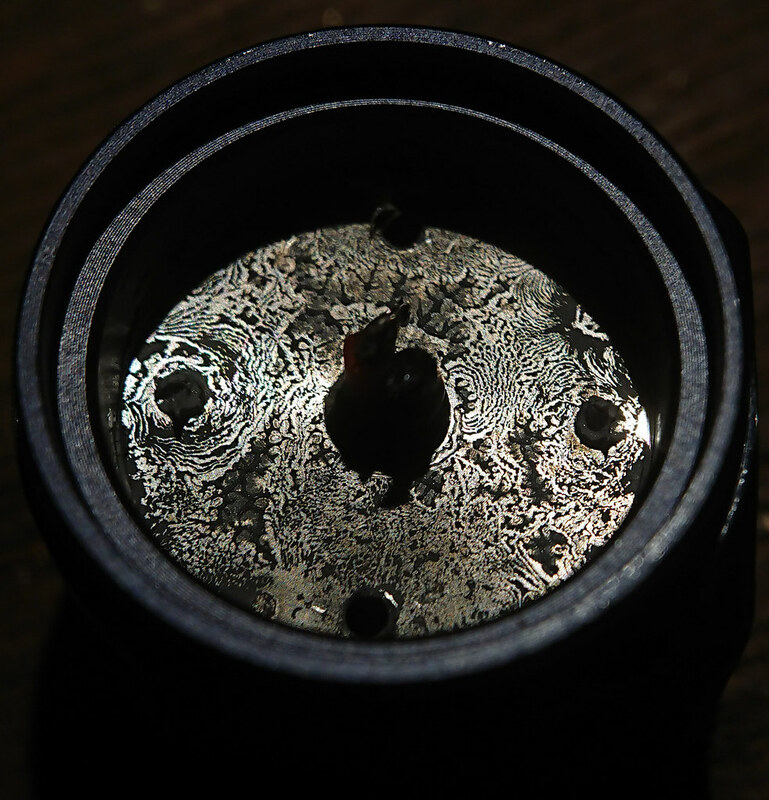 Only managed one small scuff on the ano that you can see in the bottom right piece. Seeing how much I have to take off my 16mm XP board, aside from filing a few 20mm triple boards for the E2L I have never done this before. The only grinder I have, it’s made for sharpening knives. 120 coarse belt never gets used on knives anyways, lets try..
Hey, it works. Glad I saved this one. 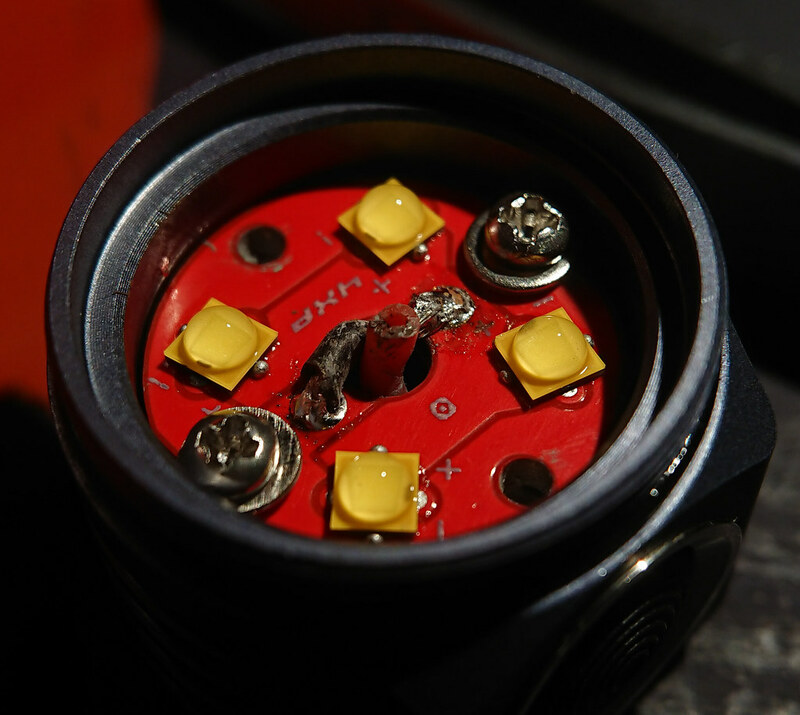 It was from a failed re-flow attempt on a Q8 where I killed 2/4 LEDs with turbo. These were first group buy 4K which I really like the tint of, glad she lives to see another day. The super low moon this light is sometimes known for looks neat. I left out the metal washer/spacer thing so I could tighten the head and get the slop out of the variable ring. Thanks moderator007. It’s possible to over tighten it now but it wont be an issue, easy to adjust. Random XP centering ring from Kaidomain was a perfect fit. 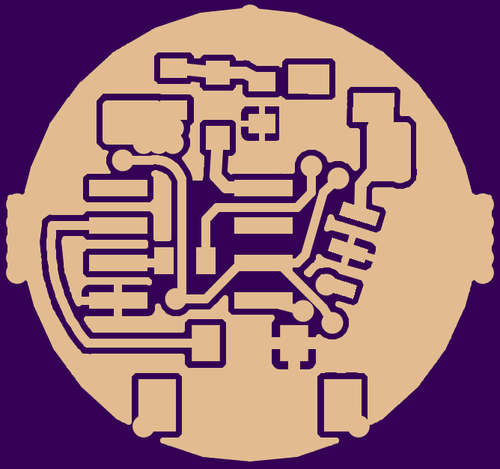 I ended up thinning the MCPCB too but I wish now that I hadn’t. I’m sure it’s not flat/level on the bottom but hopefully it’s close enough to make a good heat path. At least we are using copper now.. Cool! I have one of those Work Sharp knife sharpeners too. Love it. 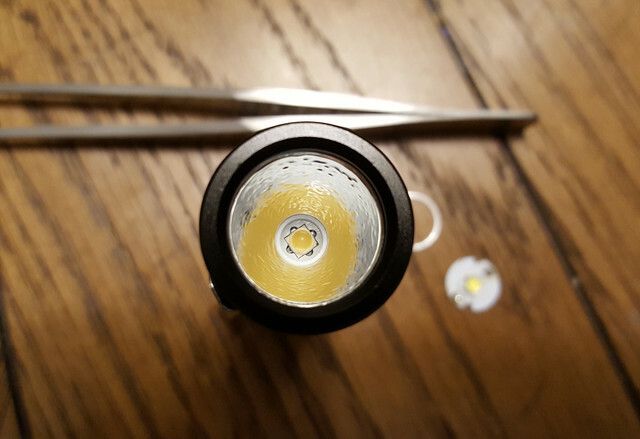 Just did a very simple mod on one of my Emisar D4 lights. Remove the retaining ring. Best way that I found is to use the nail file from a standard small Victorinox mini pocket knife. The tipe of the file tapers to a flat end. And unlike a conventional screwdriver there are no sharp edges so the rubber button shouldn’t be damaged. With the file portion of the file almost parallel to the button boot, insert it at a shallow angle over the top of the button. Dig the tip of the file into the rubber below the edge of the retaining ring, then lever upwards. The ring should pop right off. Remove the rubber switch boot. On the underside of the boot is a tiny post intended to hit the switch. Snip off this post using a small scissors. The scissors in the Victorinox mini are ideal for this purpose. 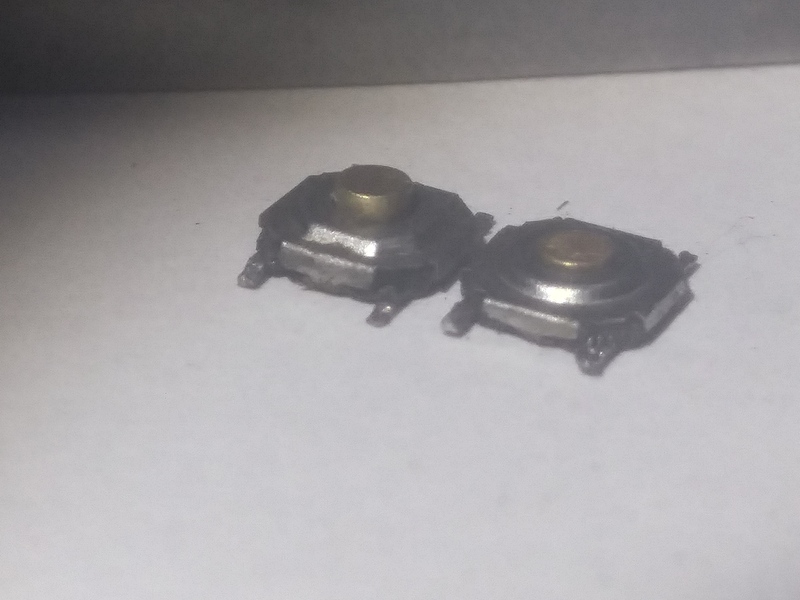 The goal is to cut off the post so the interior of the button cover is flat. Take off only the post. Do not go deeper. Reassemble. Place the switch boot in place and then insert the retaining ring. 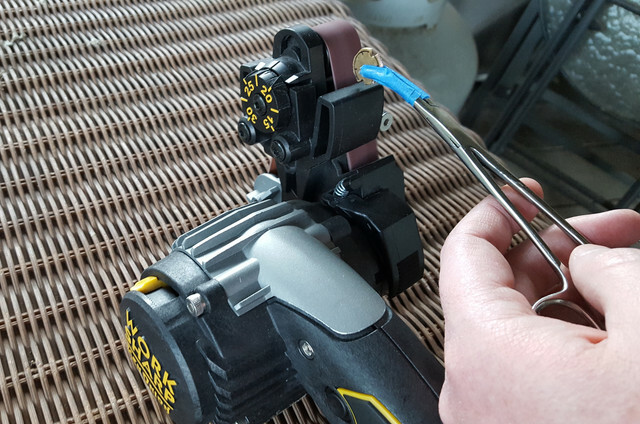 To get the retaining ring to lock back into place, I found that placing the switch upside down on a small anvil and then applying steady pressure by hand worked well (do not hammer). I tried to only have the edge of the retainining ring I wanted to press down on the anvil. 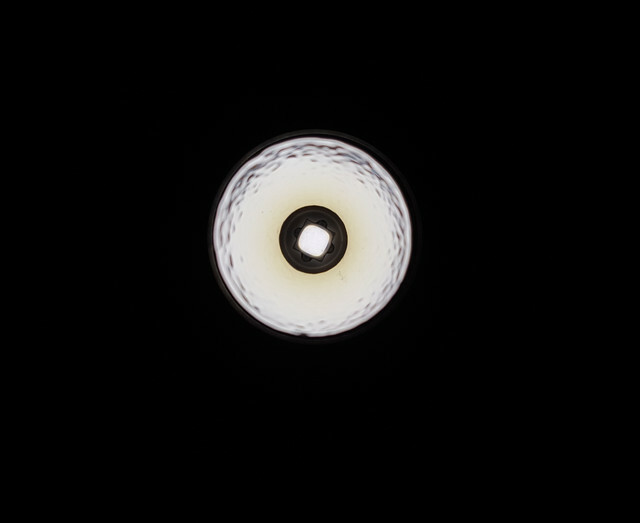 Once that was in I rotated the light and repeated. I tried to avoid placing the center of the switch boot directly onto the anvil. Result: The button now requires noticeably more pressure to depress. My guess about two to three times as much. It also clicks on at a deeper depth than with an unmodified boot. I can now place the light button-down on a desk and press and the pressure from the desk will no longer activate the switch. The entire mod was quite easy and fast. It took less than 5 minutes. While this doesn’t eliminate chances of accidentally pocket activation it certainly makes it less likely. My Yihua YH-858D hot air rework station arrived a couple of days ago so I’ve just done my first emitter reflows. First I desoldered a few dead emitters and reflowed an LH351D 4000K 90 CRI from AEDe’s second group buy onto one of the old MCPCBs (destined for a Thorfire TK4A), then I decided to replace the CW XP-E in a SingFire SF-348 with a LH351B 3000K 90 CRI also from AEDe. 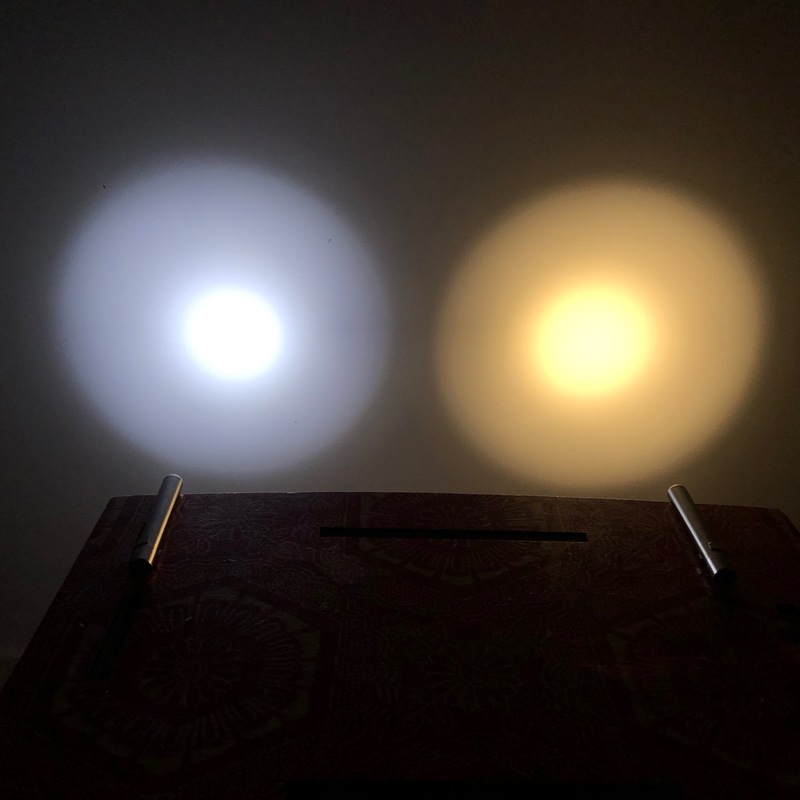 Above: Comparing the 3000K LH351B to a Nichia 219C “BLF” 348 with a particularly poor tint.The picture was taken on my phone so all settings were auto. 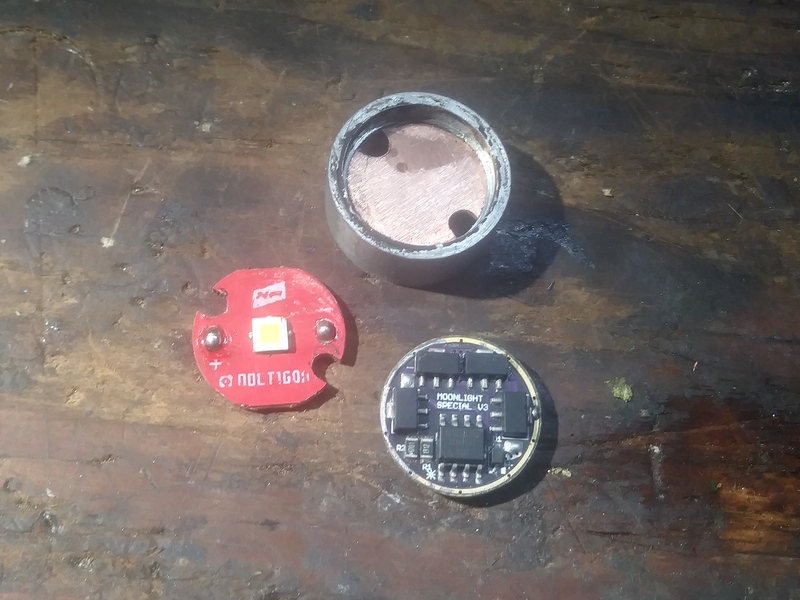 Now that I’ve finally started reflowing emitters my next goal is to make some illuminated tail switch boards before eventually assembling some drivers. Or when you shoot it into outer space. Today I rebuilt an sk98 for Larry. 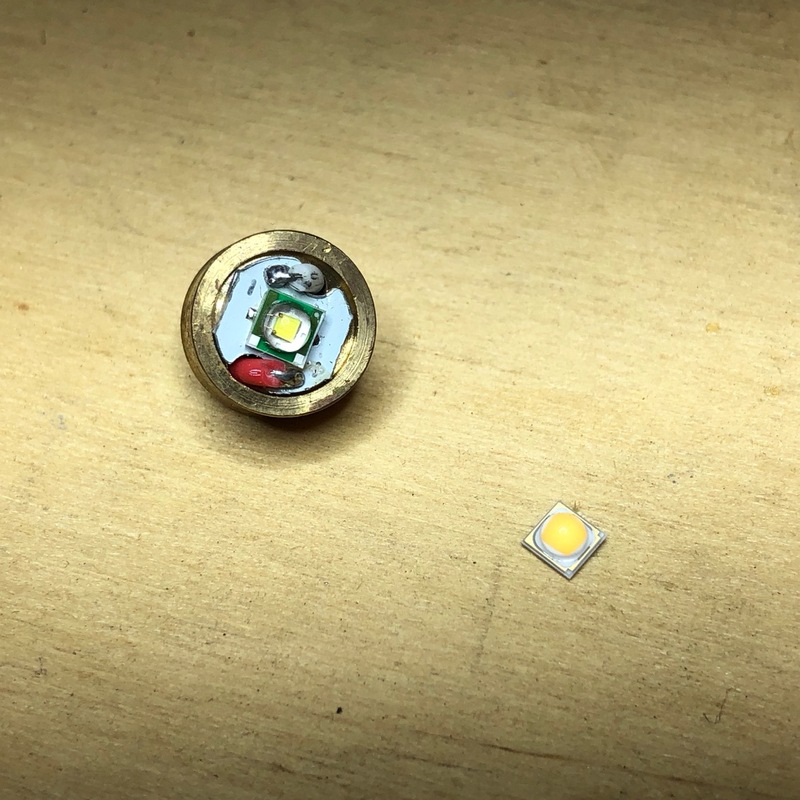 Filed and pressed a Cu disk into the pill, built a moonlight special (1+7 7135) driver for it running BLF A6 and swapped the XP-E2 Torch out for a more useful XP-L HI. Optic loss is quite high (as with any cheap zoomie) but it’s doing 694 OTF zoomed out / 354Lm zoomed in at 2.94A. 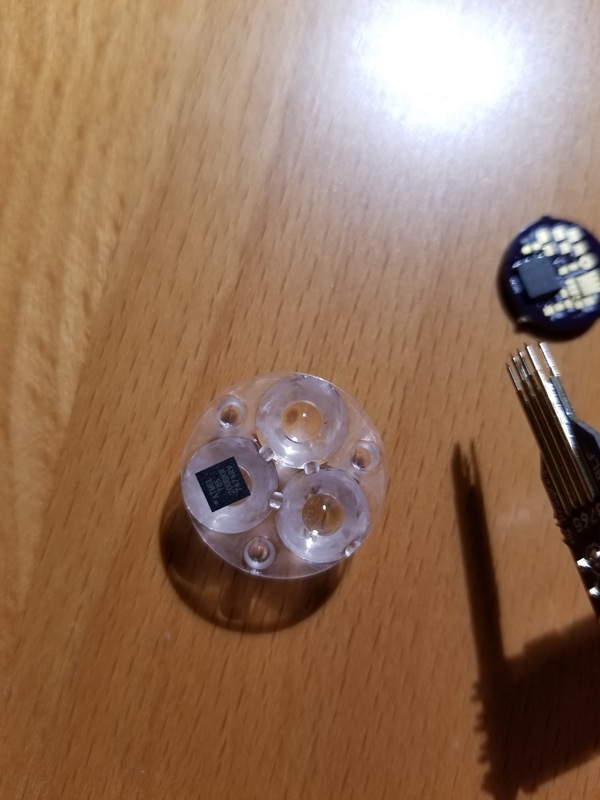 I then wanted to fix a personal light which died last week, diagnosed it as a dead switch and digging in my crap pile collection of good stuff I found a baggie of them and put the light back together only to discover the button cover didn’t make contact with the button! The culprit? Switch height difference. So then I got my surgeon hat on and rebuilt the switch it’s self, took the tall button from the bad switch and put it in the good short switch and it works! Does anyone have a link to get some more of the tall kind (the left one)? I didn’t realize there were more than one and all of them I have are the short ones. Epoxy a small disc on top or silicone an extra piece of rubber on the boot. 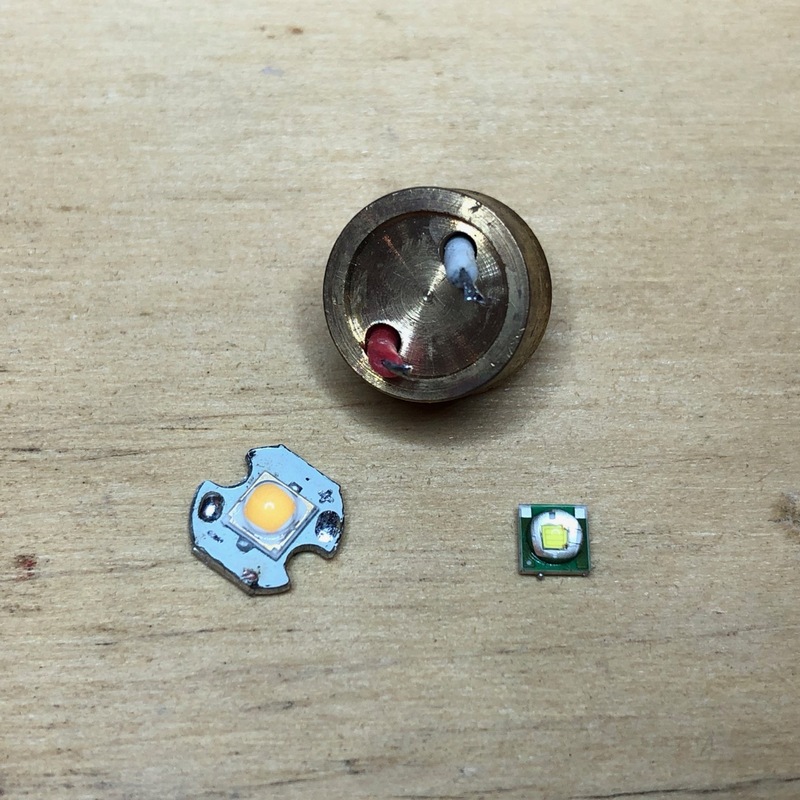 ..or the fastest option: a drop of Norland64 (or other UV curing glue) on top of the switch, illuminate with your favourite 365nm torch for 10 seconds and presto! I am a bit jealous of you guys! I have never really been mechanically inclined, although there are Three engineers in my immediate family! My specialty is being an expert battery re wrapper! in addition to being a fanatic about numbers,,,,battery cycles, run times, purchase dates. born on dates,,ect.which I all document. My closest thing to a mod was changing the boot and tightening the retaining ring on the tail switch! You have to start somewhere..My hiking buddy is an expert at soldering,,,27 years experience. His dad taught him when he was 15 years old. Maybe he could teach me. ohhh yaaa,,I did take my computer apart once, removed the fans and lubed them w/ NO-OX-ID. It did turn out good, it just took me twice as long as it should have because I struggled remembering how all the parts went back in because I did not memorize/pay attention enough while I was dismantling!! Today i did not mod a light. But something that will help me mod lights in the future. 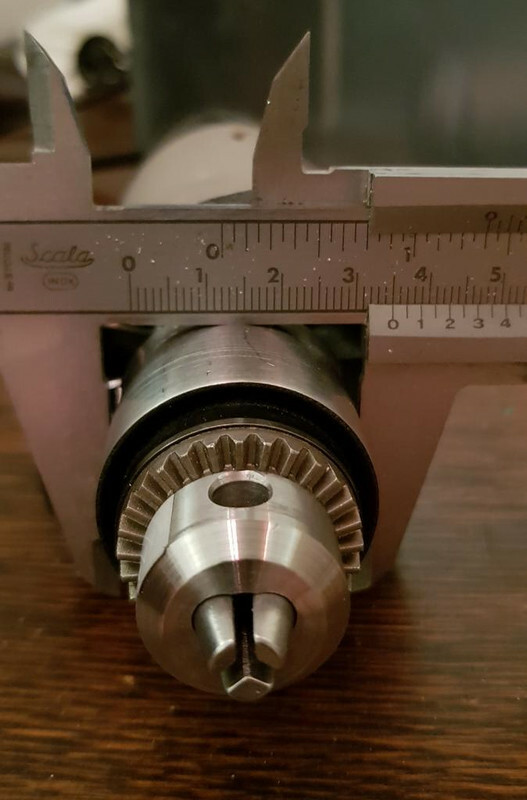 I have no access to a lathe or a mill. 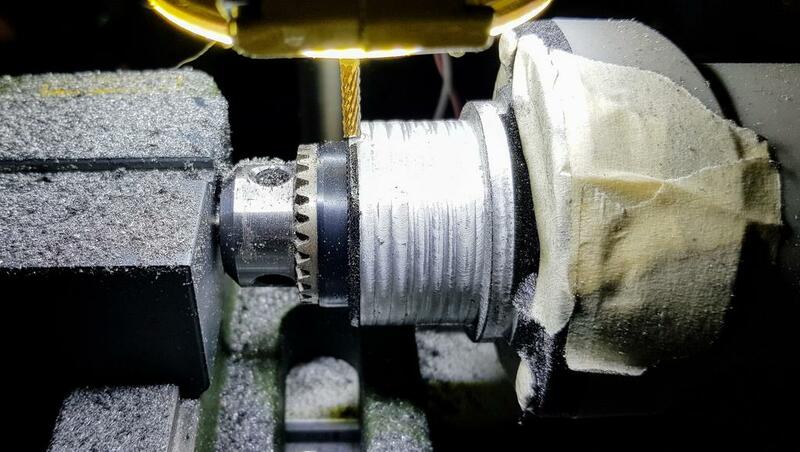 So i bought a drillpress stand (and modified it) to be able to do small milling jobs on soft metall parts (like flashlights). But the old and tired dremel was not cutting it. So i bought a Hilda grinder from BG. But i did not notice that this grinder would not fit the 43mm Holder inside the stand. And making a adapter is not so easy when the head on the grinder is conical. After talking with kiriba-ru (i have to say thanks for his thoughts) i decided to use what i have and try to make something conical straight. First i clamped a 6,5mm drill inside the Hilda grinder (max he can handle) and the other side inside the vise. From the top i use my dremel and turn the Hilda grinder slowly by hand. With a sliding table i controll the left right movement. First i decided to let a 3mm ring at the upper end of the head. I did this because i was thinking that i could open up pockets in the material if i take to much material away. In the end i decided to take the upper ring down i first had left there. This was not the best idea because i was right with the pockets. On every of the 3 corners i opend a pocket in the material. I used some “bigger” aluminium shavings and mixed them with JB weld and filled the pockets up. A day later i grinded everything down and used some sandpaper to get a better surface finnish. Now i have a straight 35mm area on the front. Next step is to get a 35mm to 43mm adapter. When ready i will have a lot more torque campared to my dremel. 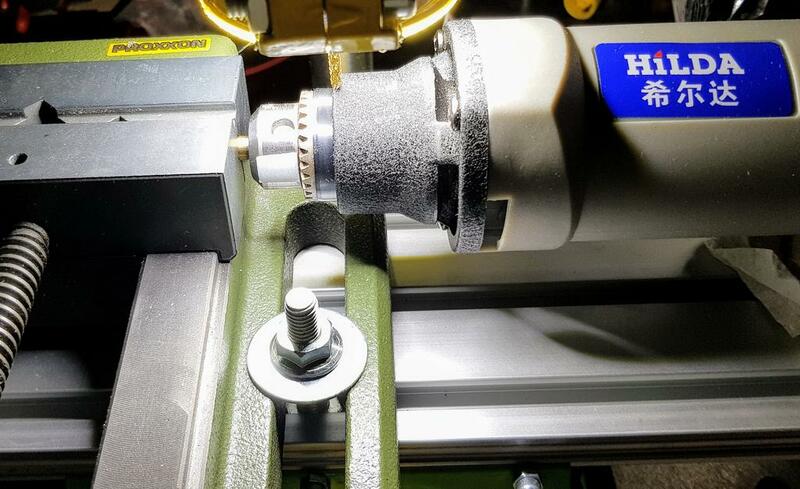 And i can use tools up to 6,5mm inside the Hilda grinder (dremel max 3,175mm). That is really cool Docc! The result looks professional, you would not expect the make-shift method from that. I have a black flat in my jm70. 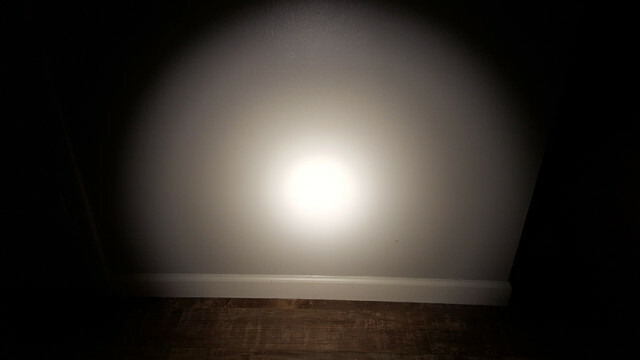 605 kcd 780 lumens. You can find them on ebay or aliexpress, there are sets with 400-600 pcs (20-30 types x 20 pcs), they are only 6-8$ or something like that. I’ll have to check the tail current but it’s not easy with that construction. Sorry I forgot the last mod. 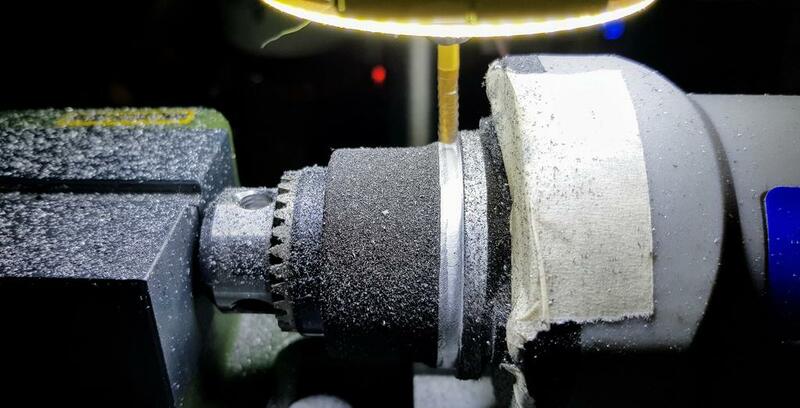 I’m lucky enough to have a lathe…. motivated enough to use it too The last few days I’ve been putting in some time here and there. Head is bored out, pill is made, bezel is made, body is bored and threaded at one end. Taking my time getting the fit and finish nice. These are the only pics I have so far. What driver are you running it on? 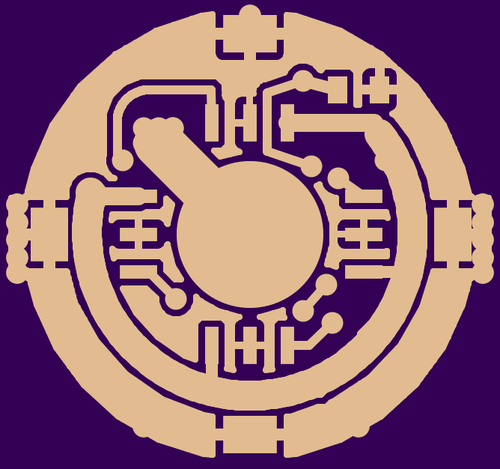 I’ve got a host (amutorch AX3) inbound that I think will be a good test platform for the lantern branch of anduril. 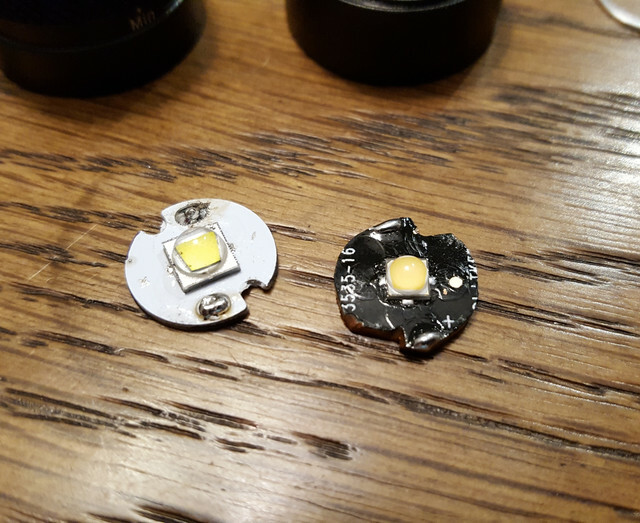 I swapped leds in a grey D4 twice today and both leds are not what I hoped for. Start: grey D4 with XP-G2 S4 2B. I had a D4 before with these leds and they were the old type that had the best throw when dedomed. This grey one has new type XP-G2’s. When removing the ledboard, the heatsink paste left on the shelf had a distinct pattern, likely it accumulated at distinct postions when the light heated up during use, which does not sound ideal to me. It will be replaced with AS5. 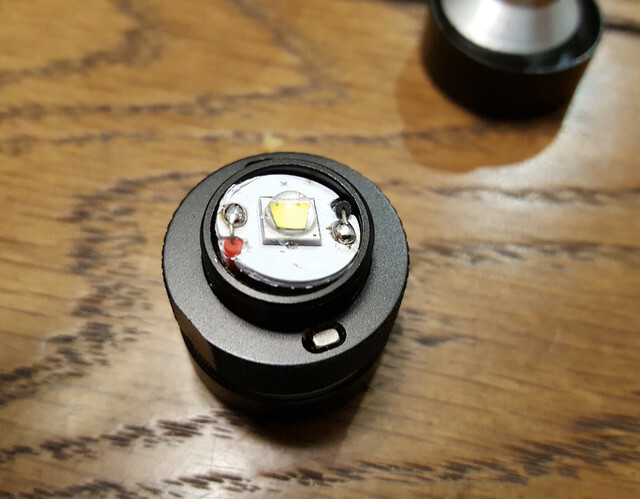 First led swap: 4000K Luxeon V2, from Arrow. 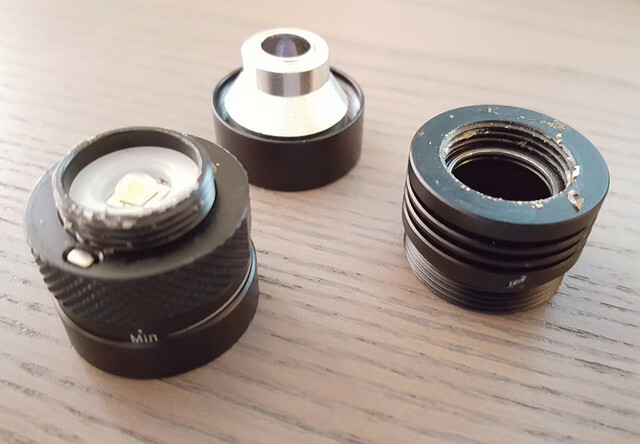 I expexted a comparable tint as my D4 with Luxeon V’s, but it was not so. The hotspot was a bit yellow-ish and the spill a bit pinkish. Only a snob is bothered by it but I hoped for the close to perfect tint that the Luxeon V has in my D4. Perhaps the smaller dome makes it behave different in the TIR, not just making the smaller hotspot. 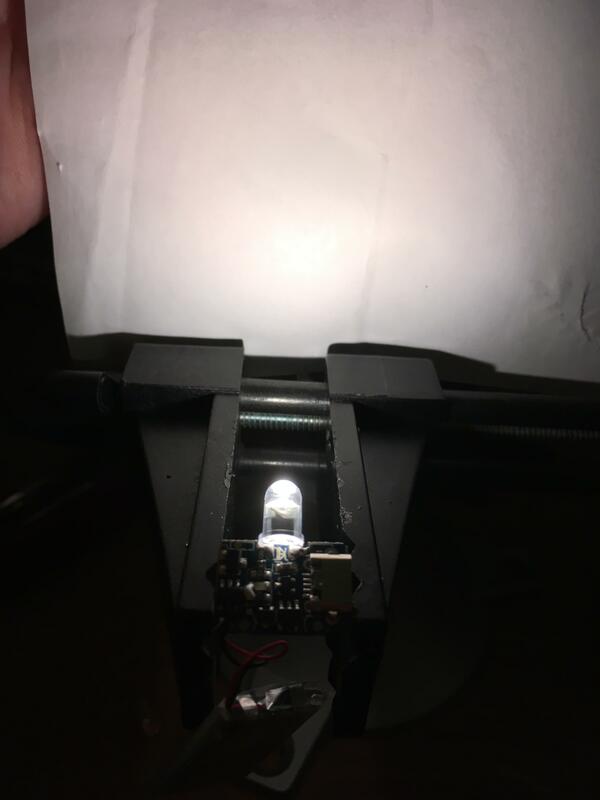 I must check this led in a reflector light as well these days. The output at least is pretty good! So further to another led swap: 4000K 80CRI LH351C’s. I found those at Arrow for 80 cents a piece with free shipping. 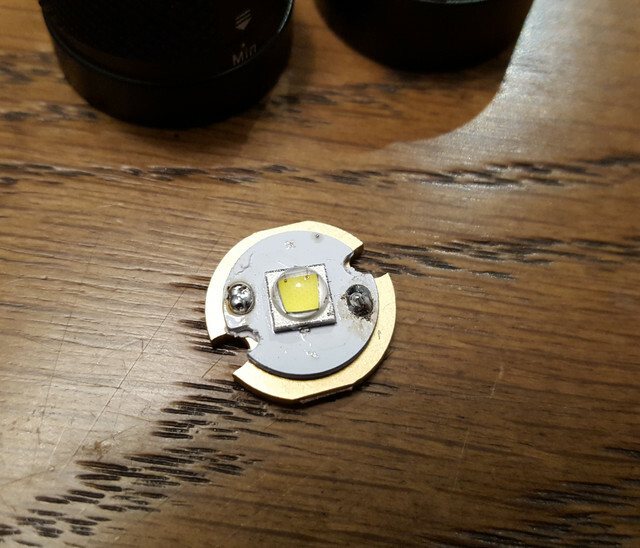 The 90CRI variants that maukka tested were too much above the BBL, perhaps these are better, just like the 4000K 80CRI Cree’s often have good tint. But no, the tint of the hotspot was also above the BBL so not perfect either. At least the beam is slightly better than with the Luxeon V2: not yellow in the hotspot and this time some bkue in the spill. Btw, nothing of this can be seen on photographs so I won’t bother with beam shots. So the output is less than both the XP-G2 S4 2B and the Luxeon V2, but with this so-so tint the 80CRI is not really worth that IMO. I did 2x L1V2 4k and 2x L1V2 5K, it probably takes the yellow out some but the pink remains I believe. Need to double check. I liked it better than the 80CRI 219C 5K that was in it but, like you, I think the original Luxeon V 4K is really nice and even. 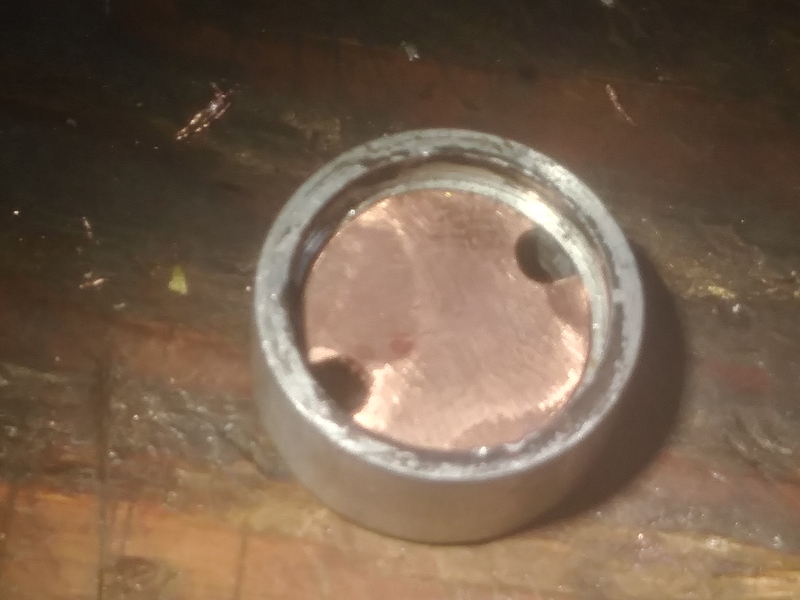 I put the body and tailcap in the lathe at work and did a 15mm hole through it. Very elegant solution on the D4! 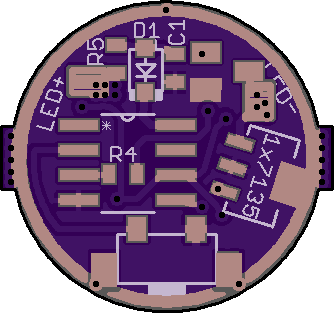 I’am building a fet+1 driver now and it will go in a Skilhunt DS20 with Luxeon V2 led and Andúril firmware. 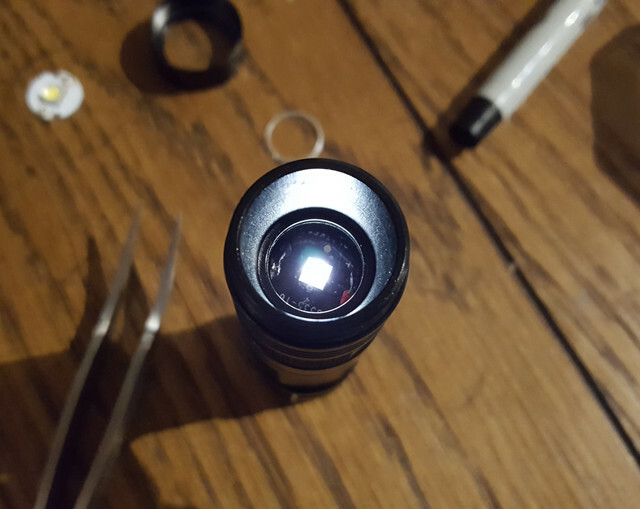 Mine’s a lot smaller than most of the mods in this thread, but I swapped the emitter in my Nitecore TUBE with a 95 CRI 5mm Yuji LED. I’m very happy with the results. The current limiting resistor also had to be swapped. I put in a 33 ohm resistor. This should give me about 36mA to the LED. I was going to suggest to drill a small hole between the pads to let R4 sink into the board, but then I saw that even in that small gap is a trace running.